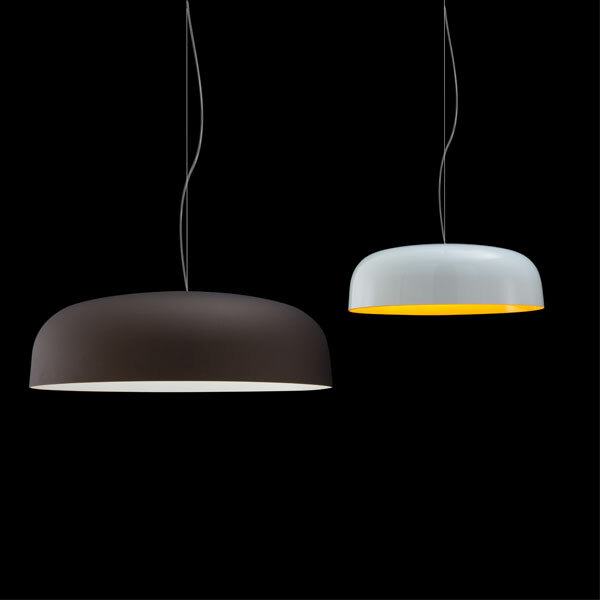 “Canopy” means ceiling plate: the simplest and most neglected element of the design of light, the one that, applied to the ceiling, conceals the wire coming out, is now enhanced (indeed, the design was developed out of a ceiling plate normally used at Oluce): its figurative power is revealed. Enlarged, glorified by the option of being internally coloured, it is turned into the reflector of an important suspension lamp. So far, this would amount to a mere new shape. The invention, however, lies in the use of a source, the “circolina” or circular lamp. Protected by a metal disk, the special bulb gives out an extremely soft and mysterious glimmer. “Canopy” draws from an important suspension lamp in the history of design, namely Vico Magistretti‘s “Sonora“, to revolutionize its shape and its lighting-technical principles. 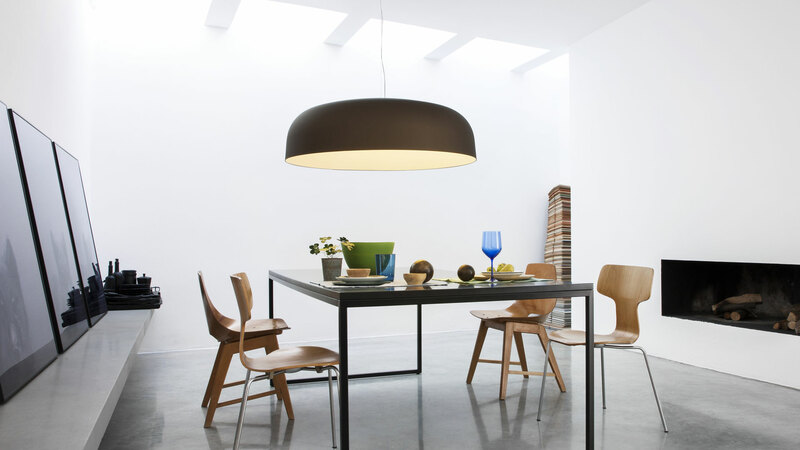 Suspension lamp giving indirect fluorescent light. Reflector and lampshade screen in lacquered metal white, or two-colors, or metal bronze. Finish: white external-white inner / white external-yellow inner / bronze external-white inner. Custom colour finishing on demand, are available for quantity of min. 10 pieces.